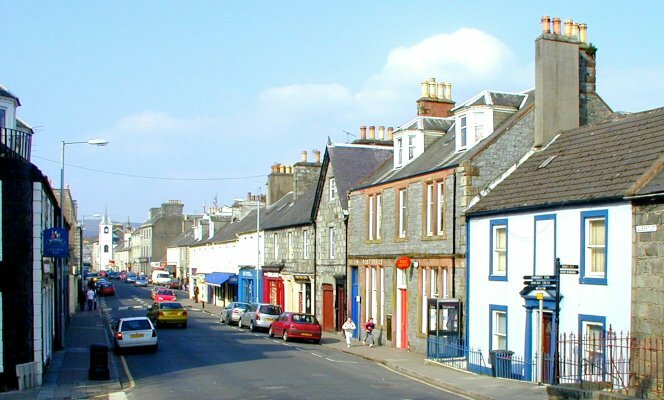 Newton Stewart High Street @ High.St - High Street shops and High St businesses. Large Google map of Newton Stewart High St.
Newton Stewart is a 17th Century market town and for the modern day visitor is centrally placed for the many coastal and hillwalking opportunities available in the area. The high street shops can be found along the adjoining streets of Arthur, Victoria, Albert and Queen. Local activities and attractions can be found on the Newton Stewart Business Association website. The official Dumfries and Galloway Tourist Information website has lots of information about events in the area or you can find out more about the local towns of Wigtown, Kirkcudbright and Dalbeattie on this site. We particular recommend a visit to the nearby Gem Rock Museum at Creetown.